CIMA and IAI are pleased to introduce the Future Chartered Global Management Accountant programme (CGMA) for university students, especially managerial accouting students, BINUS University. Through this programme, students will be able to gain exposure and experience the role of a Chartered Global Management Accountant in their first year of university. They will participate in a series of activities throughout their university studies to help prepare them well for these roles. 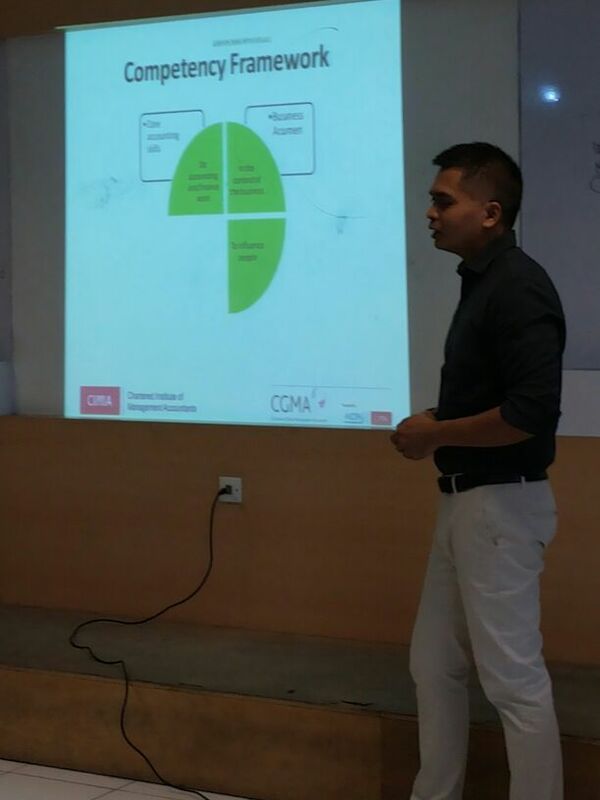 This programme is explained by Andrias Susilo, CIMA Resprentative Indonesia. 1. All students under this programme will exempt CIMA’s Test of Operational Level of Professional Compentence. 3. MYCIMA Account (Students are given a unique ID and password to access their personal details, CIMA Syllabus, online study support, past years’ exam papers, model answers and post exam guide from experienced examiners as well as job recruitment opportunities.